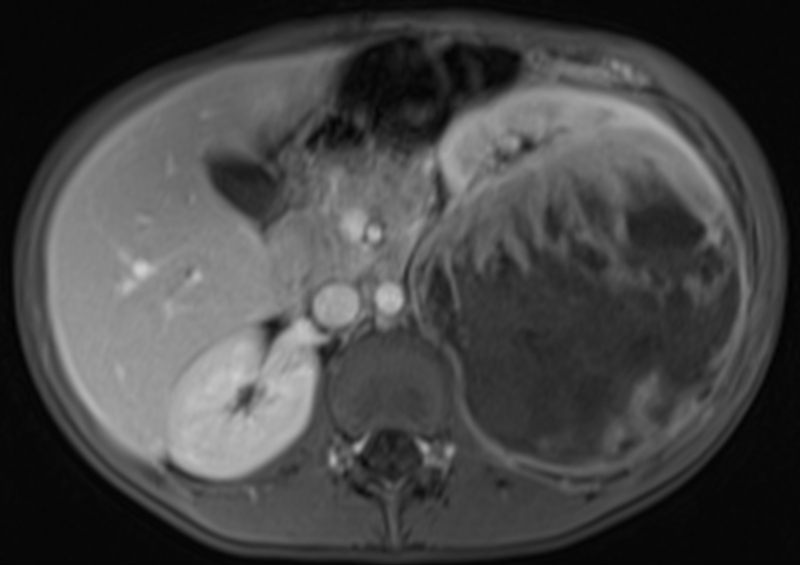 This 8-year-old girl presented to the hospital with recurring abdominal pain on the left side and fever up to 39°C. In the urinalysis, protein, ketones and white blood cells were found, as well as hematuria. 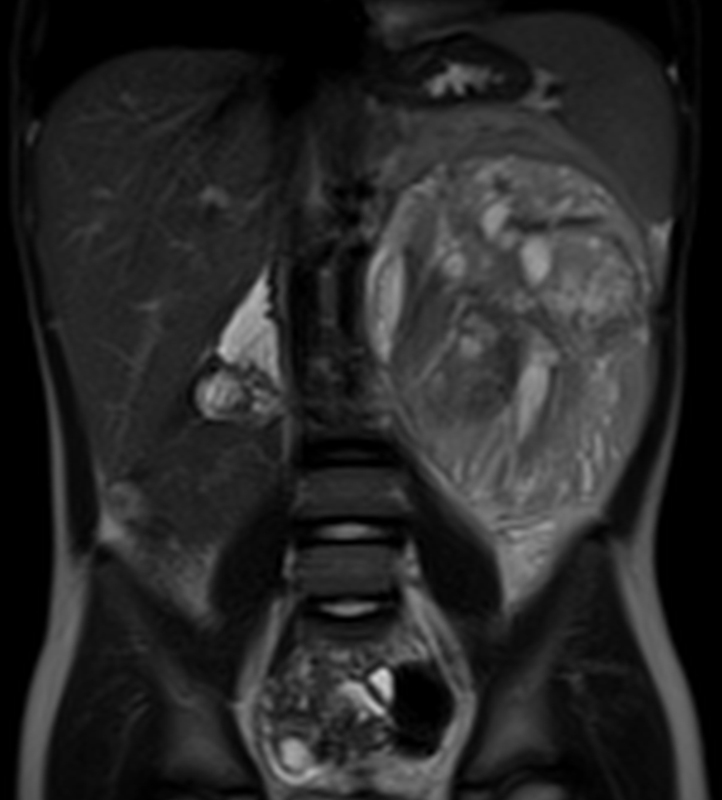 Ultrasound and a MR examination revealed a mass lesion in the left retroperitoneum with presumptive diagnosis of a nephroblastoma. Nephroblastoma of the left kidney. 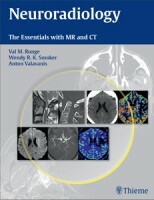 The exam was acquired on a 32-channel 1.5 T scanner (Siemens MAGNETOM Avanto) using a body matrix coil and the built in spine coil. Sequences obtained included (A) coronal HASTE T2-weighted (TR/TE 1100/82 ms, scan time 42 sec, slice thickness 6 mm), (B) axial BLADE T2 TSE with fat-saturation (TR/TE 5981/123 ms, scan time 1:30 min, slice thickness 3 mm) images, and (C) venous phase of a volume-interpolated breathhold exam (VIBE) sequence (TR/TE 5.2/1.9 ms, voxel size 1.2×1.3×3.0 mm³, parallel imaging GRAPPA factor 2, acquisition time 23 sec) in coronal orientation after injection of 0.1 mmol/kg 0.5 M GBCA. 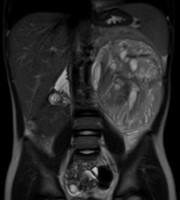 A heterogenous mass measuring 13 x 9.5 x 10 cm³ is identified as retroperitoneal in location, originating from the left kidney. 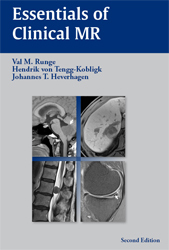 It is located in the dorsal part of the kidney displacing the remaining normal renal parenchyma ventrally. 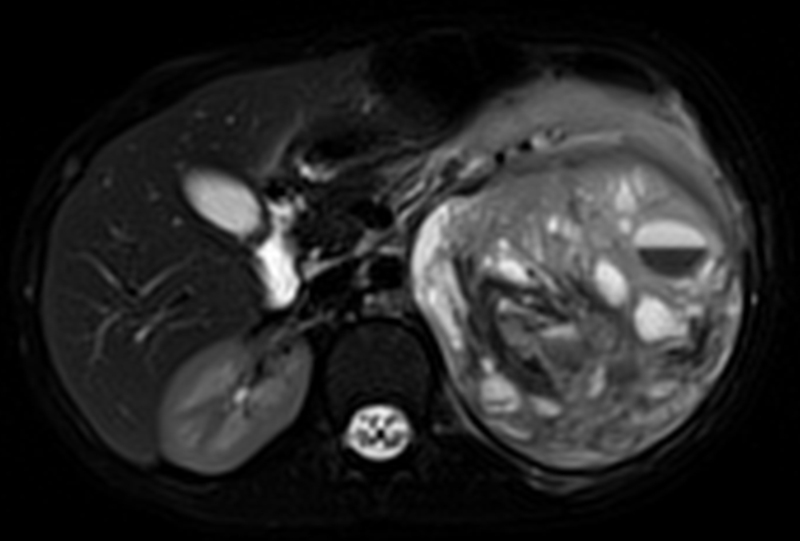 This well-defined mass demonstrates heterogenous enhancement after contrast administration and numerous cystic areas.